The Craft of Mimi: Wedding anniversary. So here comes the day again when we celebrated the anniversary of our wedding. Gosh I just can't believe in was 10 years ago when we said I DO. However this time we had been sad despite still being in love. Recently we had a personal tragedy which I really am not ready to talk about but we lost a precious gift. Anyway as we both were not in full celebration mood we had not prepared any gifts this year. It was no longer important so I just made this little 10 minute card for my OH. The flourish card was already pre cut in this design and I had purchased it in local Hobby Craft. 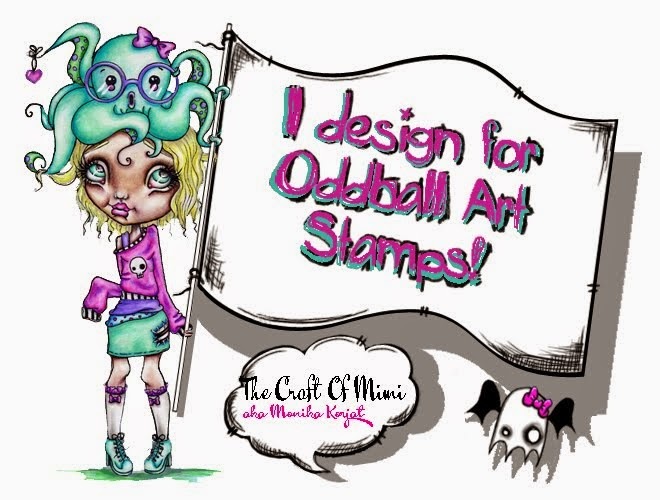 I used ppinkydolls art digital stamp called Forever Friends and you can find the shop here. I coloured the image with my Pro Markers but as the image itself is really small and I did not wanted to spend a lot of time working on the card I only filled out the most important parts of the design. And I actually like it that way. 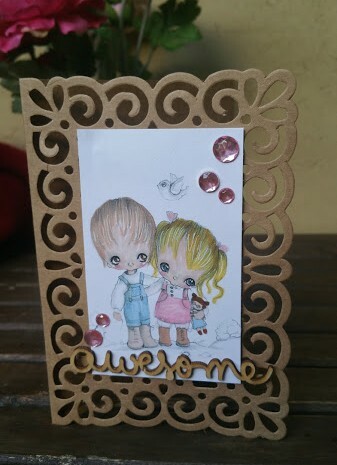 Then I added the wooden embellishment sentiment ' awesome' which my Husband often uses (especially after the Lego movie - and here the song plays out in my mind again...) and added some pink rhinestones. In the card I had written about how much I love him and so on and so on. 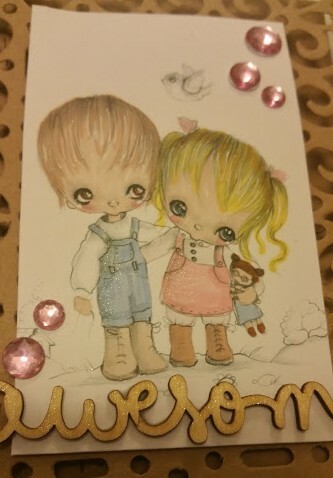 Lastly I added a little bit of Wink of Stella shimmer to the wooden sentiment and the image. Beautiful card! Such a sweet image! I love the soft coloring! !